Don’t you hate when you buy something, and a few days later you see the same thing, for a much lower price? ​What if I told you that there is a way to get cheap life insurance the first time around and avoid the feeling of buyer's remorse. Today, I am going to use the below list to teach you the most effective ways to get affordable life insurance now matter how you choose to buy it. 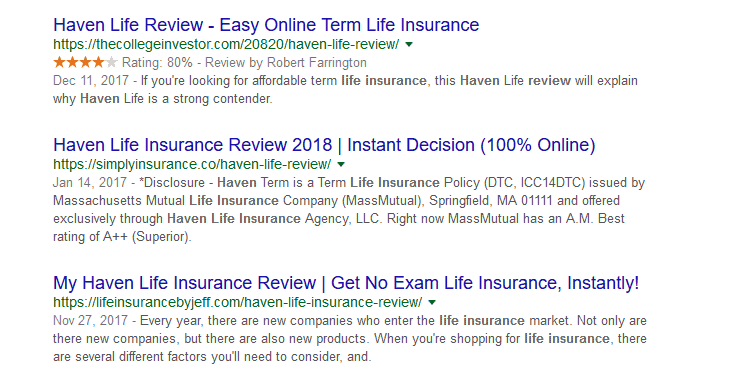 When I think of the words "cheap" life insurance I immediately get confused, why would someone want something to be “cheap” when it's concerning protecting their family? I immediately think of one of those retro neon sales signs. When they say “Cheap,” do they mean the lowest price? When they say “Cheap,” do they mean lower quality? I have to make myself assume that it’s the former and not the latter of the two. I think it’s best to think of shopping for life insurance the same as shopping for a birthday gift. You want something affordable, useful, and that will bring significant value to the person who is having a birthday. 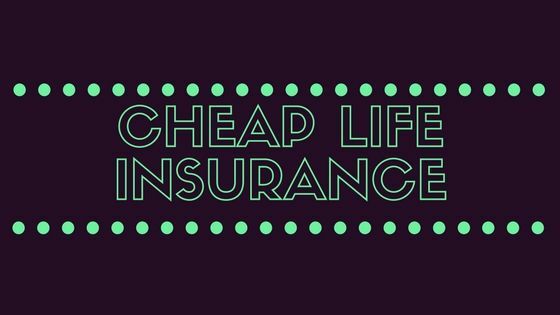 When it comes to life insurance, it’s best to remember that cheap and lowest price are very relative to the individual. ​Prices are going to be based on YOUR specific age, health, tobacco usage, weight, and gender. This means that every person is going to get a tailored answer for their rate based on the above criteria. If you are still new to life insurance and need more of an introduction, I wrote this ultimate guide titled: How Does Term Life Insurance Work. ​Buying directly online is going to be one of the easiest ways to get the most competitive price, I even wrote a post here that’s all about why you should buy online. The reason that getting life insurance online is the best way to get low cost life insurance is that these companies usually don’t have large offices and administrative fees. Since its all done online, they also can speed up the process of buying insurance and avoid ​transferring the cost to the insured. This allows for them to start off offering much lower rates. Reviews will always give you a solid understanding of how each company works and which will be best for you. ​​Once you find out which carrier you would like, you can go directly to the carriers website or third party sites like simply insurance and get quotes. Once you have reviewed your quotes, go ahead and apply online, most of these applications take either 20 minutes or less, and some of them can get you covered immediately. ​Getting life insurance online is one of the best ways to get affordable life insurance. The application process is much faster, and usually, the rates are the lowest. ​This might sound counterproductive, however, I can assure you it is probably one of the best-kept secrets that aren’t meant to be a secret. Life insurance is priced out at a cost per thousand. What happens is that the more coverage you purchase, the lower the cost per thousand, in some instances a $75,000 policy can cost you more than a $100,000 policy mainly because of the rates per thousand decrease at $100,000. 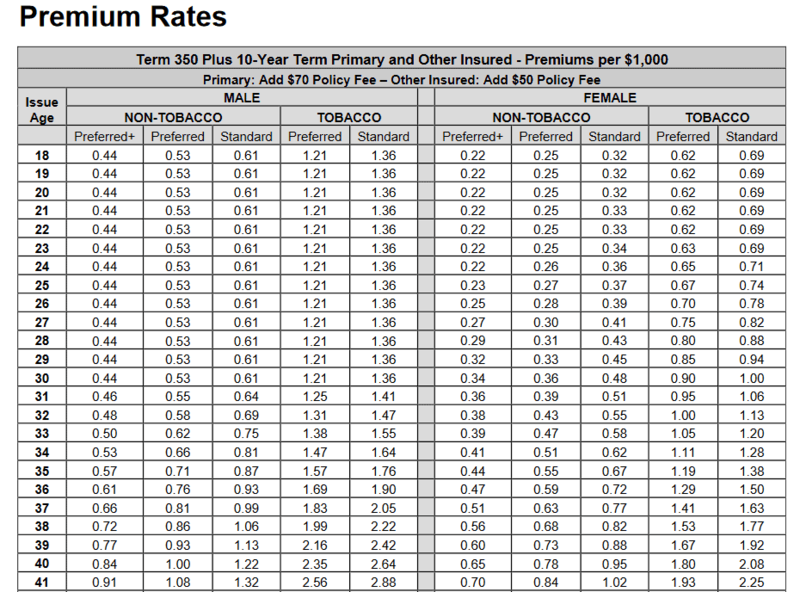 Based on the above chart a 30 Year Old Male with Preferred Health and No Tobacco Use would pay $0.53 cents per $1,000 in coverage. 0.53 * $100 = $53.00/year, we would then need to add the ​Policy fee of $70.00 we would be looking at $123.00/year or around $10.00/month for a $100,000 life insurance policy. 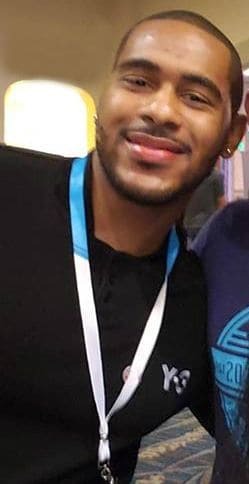 ​You want to get multiple quotes In $50,000 increments, the reason you want to do this is that the prices per thousand can change at either $50,000 or $100,000 ​coverage markers. ​This is always a great option because insurance companies use weight charts to help determine what your rates will become. You can have the best health. ​However, if you are few pounds overweight, an insurance company could take you from a preferred health rating to a standard rating simply because of your weight. ​This is an essential step because if you don’t know what you are putting into your body, all the actions you take to reverse it could be pointless. If you go to the gym every day and burn 100 calories, but you eat an extra 200 calories, you are still going to be over by 100 calories, and the weight won’t go away no matter how much you work out. It’s important to know how many calories you burn just by sitting down; this will help calculate how many calories per week you are consuming. You can find calculators a few calculators here and here. Walking every day is a great thing for your body, from losing weight to also putting less stress on your joints. You will be amazed at the difference you will feel just from walking 4 to 5 times per week. ​This one is going to be hard. I struggle with this aspect of losing weight daily. The easiest way to do this that I have found is to simply replace the things you love, with a lower calorie version. 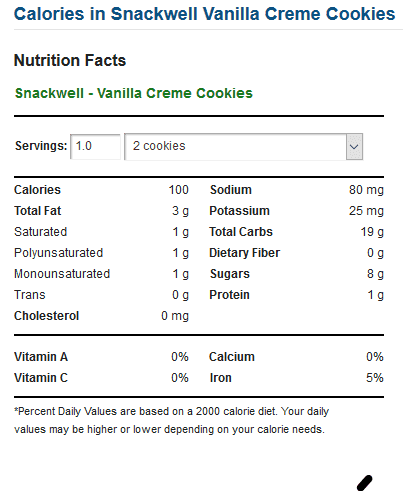 I love cookies, instead of buying Oreo's or chocolate chip cookies, I buy SnackWells, they come pre-packaged, and they limit my calorie intake. 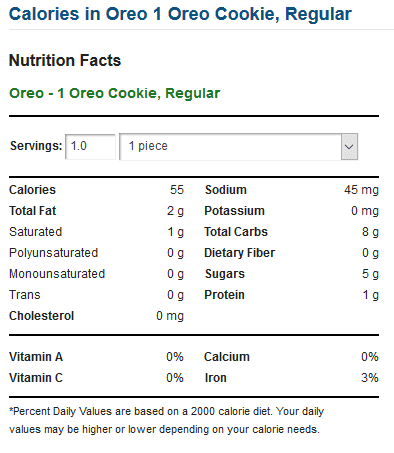 As you can see, just making this one change gave me 1 extra cookie and saved me ​45 calories per day. Seeing that I probably eat these at the least five times a week, it’s keeping ​225 calories from me which will help ​me lose weight. Avoiding captive agents will help you find the lowest cost life insurance based mainly on the fact that captive agents only have one product to offer. That’s the product of who they represent. 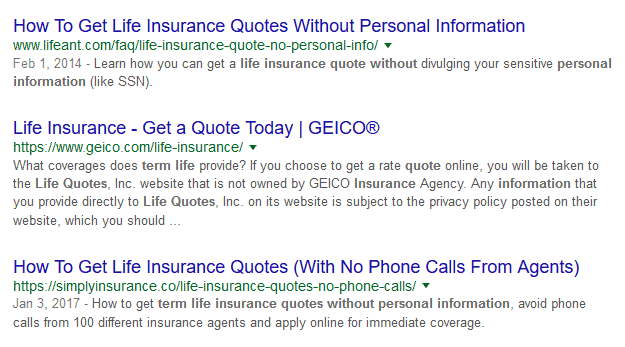 You will just get the quotes from their one company and be bound by their underwriting guidelines. ​Ask the agent for quotes from multiple companies. If the agent can only quote you one carrier, then they are captive. You won’t find an Independent Agent with only one carrier to offer. Shopping around is also how you find the best life insurance rates. I have a post about how to do it without getting a hundred phone calls. When you are shopping for cheap term life insurance online, you want to know precisely the type of coverage, term length and amount of coverage you want so that all things are equal. ​If an email address or name is required, go to another site, your goal is to avoid phone calls and emails until you are ready to buy. ​Write down the rates for each company on a spreadsheet and compare. Term life insurance is the only product you should buy when thinking about the most cost effective life insurance. Term life insurance is the most affordable of all the insurance products. We had several experts weigh in on the term vs whole life insurance question, and they all agree, term life is the most affordable. The quick and fast about term life is that your rates get locked in based on the term option you choose. If you select a 10 Year term, your rates are locked in for 10 years. The longer the term length, the higher the price will be. These policies do not build cash value and are always substantially cheaper than whole life insurance. ​Use external quote sites like Quotacy, Intelliquote or Policygenius, but remember, don’t give your email, name or phone number. ​​The lower the term length, the lower the premiums will be. The 10-year term is also a great option. It gives you the ability to get an affordable insurance policy with 10 years worth of time and a great rate before you need to think about coverage again. ​The rates for a 10 Year Term policy are the most affordable for most carriers and as you see, pretty much anyone can afford the rates. One of the reports that get run when you buy life insurance is your Motor Vehicle Report. Oddly enough I have seen this ruin even the healthiest person's chance of getting covered. Insurance companies have to handle risk, and one way to manage that risk is to see if you are a “Crazy” driver. Do you have loads of speeding tickets, do you have a DUI or DWI, is your license on suspension? I have seen people get declined simply because their license is suspended, it could have been for any reason. Some companies just can’t ​issue you an insurance policy if your license gets suspended. I am not a fan of things like Uber and Lyft, but if you have to use them, it’s better than driving while drunk. Speeding is very easy to do when you have somewhere to be, but according to LifeHacker, you don’t save any time by going faster unless it's on a road trip, so speeding really isn't worth the risk. I know you are mad you got a parking ticket, but this is a huge reason people are getting their license suspended. Your fees for so many parking tickets have racked up, or you just ignored it, and over time the courts went to stage 2 which is suspending your license. Let’s avoid this and pay those tickets or fight them in court. There are a few different payment options available when you decide to buy your life insurance. ​​​​Just like with other insurance products, by paying up front for everything you can get ​some great savings​. When you purchase your life insurance before you check out, choose the annual payment method. Be sure to mention you would like rates for annual payments and set up Monthly Bank Draft Annually. ​Riders are additional policy benefits that you can pay an additional fee for extra coverage benefits. ​​A Rider to add your kids who are under the age of 18 to your policy for usually one firm price for all kids. A rider that will accelerate the death benefit if you are diagnosed with certain, chronic, terminal or critical illnesses. A rider with Long Term Care Benefits attached. Usually only seen on whole life policies, this benefit will waive premium payments if you are no longer able to pay them for a specific list of reasons. This is a rider that pays an additional benefit if you pass away from an accident. You can also purchase an Accidental Death insurance policy separate. The return of premium rider when attached will return all premiums paid into the policy at the end of the term. Just like Accidental Death, the Return of Premium Policy also can be purchased separately. Ask your agent or the company for a copy of the Sample Policy. A Sample Policy is a “Sample” of what your policy would look like once you purchase it. It will have all the policy specifics about the specific plan and if there are any additional costs. When you look at the sample policy it will let you know if any benefits have been added at an additional cost or if it is included in your policy. ​You will get the best price if you choose the route that will require a medical exam. This is because you have given them your blood to run whatever tests to determine your actual health. Since you are giving them the best possibility to assess your health, you will qualify for the lowest rates. This option, however, can be a double-edged sword. If the results come back that you are prediabetic, your rates could skyrocket and could have been much more affordable had you decided not to complete the exam. If you really need to have the cheapest life insurance, the exam option should be number 1 on your list. So, how do you prepare for a medical exam? It never fails when a customer is upset with their exam outcome or getting approved other than applied because their blood work was showing something abnormal or close to a specific range. If you eat the night before or the morning of, you can make your blood sugar or blood pressure seem higher than usual. ​The examiner will need to have a clutter-free space to write and complete your exam as well as space to draw your blood. You can drink coffee the morning of, this will give you some ammunition for the HOS - Home Office Specimen (Urine Sample) that they will need. ​They have to take your blood, there is no way around this part. Please remember this before scheduling an exam. The longer this process takes, the longer it will be before you are approved. Also, it might be another week before the examiner's schedule allows them to come back out to you. ​Buying young will not be an option for everyone, but if you are 18, 25, or 35 you need to stop reading at this point and get covered now. Age is one of those primary ​areas that have the largest factor in your pricing. If you want life insurance on the cheap, then you have to buy it when you are at the youngest age and for the longest term you can get. When you are younger, you are usually in the best health; you have a long life to live and insurance companies really love you. We have found that no exam life insurance is the best life insurance for young adults. Notice that with nothing changing but your age, the rates change dramatically. You want to avoid this if you are looking for the most affordable life insurance by getting covered when younger. If you have a Credit Union, I know you have received that Free $2,000 in I think Accidental Death coverage that they offer. Be sure to take them up on that, when it comes to insurance, no matter who you are. So, how do you find the credit union coverage? The hard part about coverage from the credit union is that it will come in the mail. You have to make sure not to throw it away because it really looks like spam mail. I know most of us probably forgot we had a mailbox; however, they still do exist. I have found that people often try medications that their doctors prescribe, without a second opinion and without questioning your doctor. We also get in the habit of “Trying Prescriptions,” trust me, only take what you need. According to Worst Pills​, in 2003, an estimated 3.4 billion prescriptions were filled in retail drugstores and by mail order in the United States. That averages out to 11.7 prescriptions per person, and some prescriptions that were written, weren't even filled. The type of medications that you take is going to be part of your medical underwriting. The more prescriptions you have filled related to specific medical conditions the harder it can be to get insured, and the higher probability of ​more expensive rates. Always get a second opinion about any prescription. A significant benefit that will allow you to take your life insurance and get it even cheaper is the “Save Age” feature. If your birthday was Jan 21st and it is now June 19th when you decide to get a quote. You would now be one year older, and your rates would, of course, go up due to your age. This is where the Save Age kicks in; it allows you to go back to the age you previously were (usually this only goes back six (6) months) before your birthday. However, you will have to make up the monthly payments all at once. I am sure that you are going to be looking for low cost life insurance after a bankruptcy, but the most important thing is to stay away from it all together. It might seem strange that bankruptcy has anything to do with qualifying for life insurance. However, this is sort of risk the insurance companies view and they will probably rate you up based on how many years you have ​remaining in the bankruptcy or in general just for having one. Like my friend Rita Cheng over at Blue Ocean Global Wealth. From my friend Barbara Friedberg from her personal finance blog. My friend Brian suggests using survey sites in his My Millennial Guide post or even using apps to help create additional income. Whatever you do, stay away from bankruptcy if you want the most affordable life rates possible. 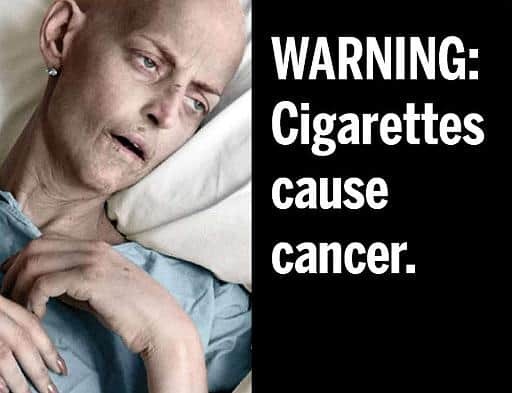 ​There is no easy, calm, or nice way to say this, no matter how many ways you look at it, smoking is Bad. In other words, smoking is going to cost you in multiple ways, it’s going to cost you with your health, it’s going to cost you “per pack,” and it’s going to cost you in your insurance rates. There is no way you can expect low life insurance rates if you are a smoker, even if you follow all of these useful ways you will still end up paying considerably more. According to Gordon at American Term, If you quit smoking for 12 months some insurance carriers will rate you as a non-tobacco user so make that your goal. Plenty of people find this to be the easiest way, there seems to be a movement for quitting this way as well. ​Joining a support group for anything is always a great option, especially with smoking. ​You will need to be able to call on someone when you face a smoking trigger or if you get the urge to slack on your road to recovery. ​Jail is another one of those ​odd areas. If you are currently in prison or jail, no one can take out life insurance on you. If you are ​currently on probation or parole, you can’t get life insurance. The risk is too high for an insurance company to take if you are currently in jail, or possess the ability to end up back in prison by a violation of your probation or parole. Your rates can be higher if you have records showing that you live a risky life involving things that can get you arrested. If you want to get reasonably priced life insurance you need to stay out of jail and prison. You need to learn the laws of the state and country you live in and just obey them… That’s it! ​How you travel is important to a life insurance company. ​​​​​​This might seem a bit harsh. However, the insurance companies are all about risk. If you were born in a country with the above issues, the insurance company is going to want to know if you visit home and how often. It’s one of the things that they have to consider, and if you travel to places like that often, it’s best to get your insurance first to understand how the policy works with your traveling. ​Bundling your coverage is the worst Idea when it comes to life insurance. The issue is that if you ever need to change auto or home insurance providers, you will realize that your life insurance rates are actually high. There are “NO” discounts on Life insurance. That means that your savings are actually coming from the auto or home part of the policy. It’s best to keep these things separate so that you get the best rate. I have had many customers that stopped bundling, only to find out they were paying over $30 to $40 per month extra on life insurance. You can’t just get a new life insurance policy. Unlike Car Insurance, based on your driving record and car; life insurance is based on your health. ​So whenever you get a new policy, it’s like starting all over again, you could have more health conditions and maybe even get stuck in a higher policy. To get the cheapest life insurance… Don’t bundle. If any of the things you do in your spare time or for a hobby include things like doing BMX or Racing or maybe even skydiving, you can expect your rates to be higher. Insurance companies don’t like anything risky. If you stop doing that dangerous hobby of yours, you definitely can get the life insurance you want for the cheapest price. If you can’t entirely kick the habit, then you need to shop around because each company is going to underwrite you differently based on their guidelines. I am sure your getting pumped and ready to find your cheap life insurance after reading this post. If you follow all of the above items, you will be able to get the most affordable life insurance that you can find. It's great that you have started the journey of purchasing life insurance for your family; just don't stop midway. You can also get term life insurance quotes here, remember, we don't need your information to give you a quote. ​Thanks For Reading... Before You Go! Do you know of any other ways to get low cost life insurance? I would love to hear your thoughts about this post in the comment section below.